Consumer Reports didn't give its sought-after recommendation to Tesla's Model 3 after finding issues with its braking performance. Tesla plans to fix its Model 3's braking performance after a less-than-stellar review from Consumer Reports. The review called out the Model 3 for having weak brakes. Consumer Reports said it tested the car's performance multiple times and found it took an average of 152 feet to come to a complete stop from 60 miles an hour. Similar cars average about 130 feet. Tesla originally told the publication its own testing had better results and said Consumer Reports' tests could have been affected by factors such as weather, road surface and even "past driving behavior." But after the review came out Monday, Tesla CEO Elon Musk promised a fix. And a few hours later, he announced on Twitter the problem could be fixed with a firmware update. 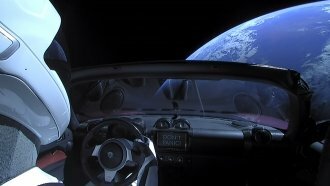 Musk said the update would be rolled out soon. If it does fix the issue, the head of auto testing at Consumer Reports told CNN the publication could give its sought-after recommendation. Consumer Reports also had issues with the Model 3's controls, most of which are on a center touch screen. But it praised the car's acceleration and driving range.